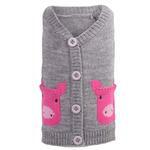 The Worthy Dog Pig Dog Cardigan - Gray is the stylish and functional dog sweater every dog needs! 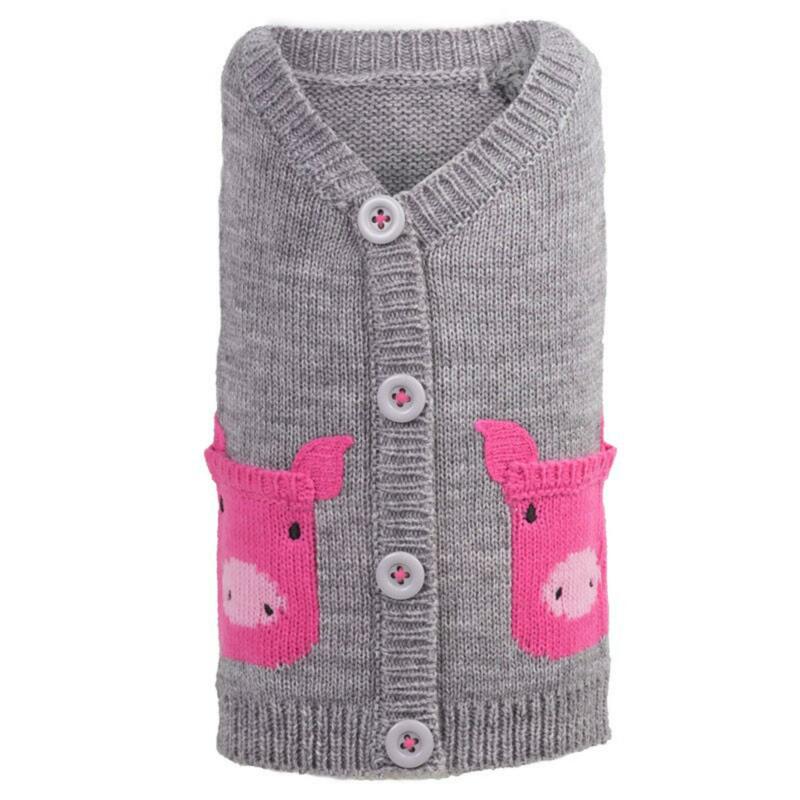 The adorable Worthy Dog Pig Dog Cardigan - Gray is a stylish warm cardigan that your dog will love! This dog sweater features decorative pig head pockets and faux buttons on back. Its warm heathered knit will keep your pup comfy in any weather. Give your dog this cute dog cardigan and they will be the cutest most classy dog in the room! Worthy Dog Pig Dog Cardigan - Gray Customer Photos - Send us your photo! Here's Piper modeling here sweater,14 weeks old today and 10lbs, size small fits her perfectly. This is my little Piggy! I love dressing her up in anything that has a pig on it. She loves her cardigan and can't wait for the piggy hat that's coming soon!